(Guest) J&C Studios O Gauge Archive Photo Poll: Feb. 2012 A grievance will be filed about this, for sure! Topic: A grievance will be filed about this, for sure! New ideas are tough to try. The Super came over in his old Chrysler to watch. Using a tractor to move cars about at the shop might save time (and money). However, the Brotherhoods represented by the switching crews will certainly think otherwise. This could mean a loss of some work for them and maybe even a few layoffs on the Baltirmore & New York Railway. The C&O sleeper was built from an American Standard kit as the "City of Beckley," a 10 roomette 6 double bedroom car built by Pullman in 1951. 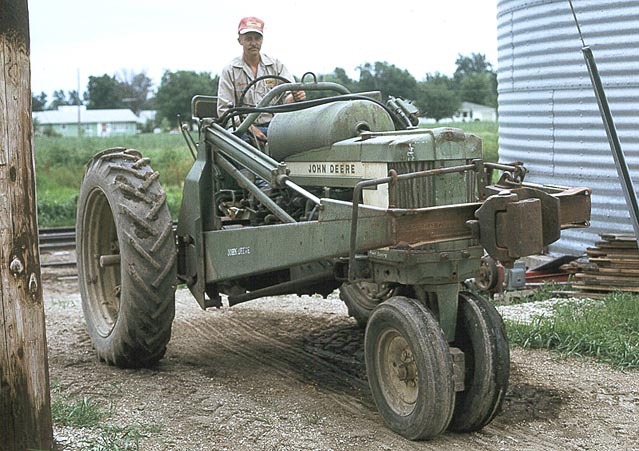 The John Deere tractor is by Ertl, fitted with a steel frame (styrene 'I' beams) and a dummy coupler. It's similar to those seen at the CSX Cumberland Shops and the Illinois Transit Assembly at Collinsville IL. 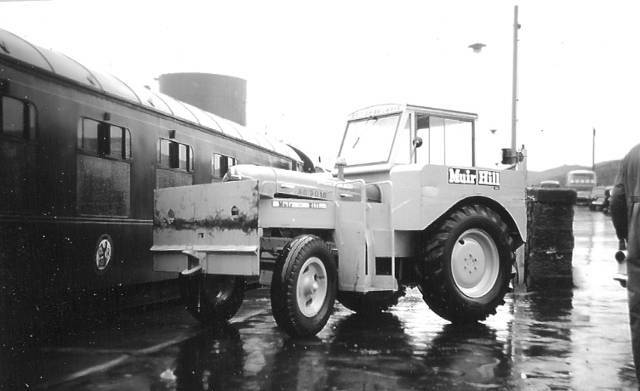 A converted tractor in use at Kyle of Lochalsh in Scotland, seen in the early 1960s. This John Deere tractor at the Illinois Transit Assembly shops about 10 years ago was used to move the passenger cars this outfit specialized in rebuilding and restoring. It was the inspiration for the John Deere tractor I outfitted for the B&NY car shop in the top photo. 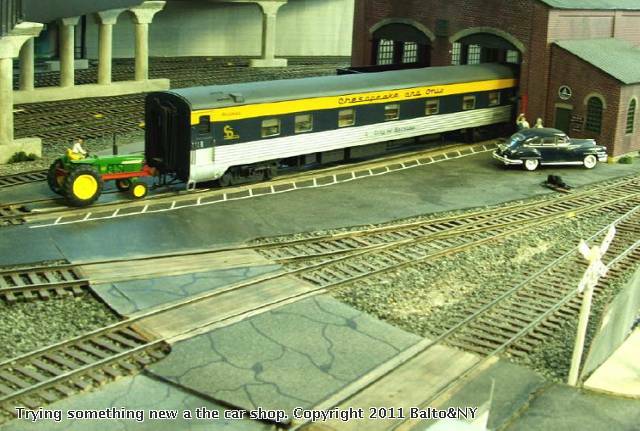 ITA's work on older heavy-weight Pullmans and retired 1950s streamlined cars they had on the property was basically done for those wanting a private railroad car. All restored cars met current FRA requirements as well as certification for use with Amtrak. The tractor was their shop goat, to move individual cars to their work locations.